With a population of 71,000, Folsom is one of the more populous suburbs of Sacramento. The median home price here is $400,000, but there are also plenty of homes here retailing for $200,000. This is one of the most picturesque cities in the United States, and, even better, it’s just a 25-minute commute to Sacramento. If you want to test the waters here by renting first, you can expect to pay around $1,900 per month. The city has a very low crime rate, one of the lowest in the country. 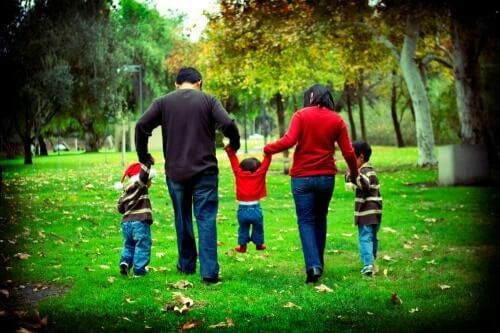 In terms of family life, it has a very high number of amenities, such as shops, libraries, and schools. The Folsom Lake Recreation area offers lots of opportunities for hiking, biking, fishing, and other outdoor activities. Education is courtesy of excellent schools such as Vista Del Lago High School, Theodore Judah Elementary School, and the Empire Oaks Elementary School. Anyone interested in living in Davis, located in Yolo County, can expect to pay around $500,000 for the privilege. Monthly rents here average out at about $1,800, which is lower than average for this part of the world. Davis is located very close to Sacramento, requiring just a 15-mile drive for daily commuters to get to the state capital. Other reasons for living here include an excellent education system, the proof of this being that UC Davis is located here. Other schools worthy of mention are Ralph Waldo Emerson Junior High School, North Davis Elementary School and the Davis School for Independent Study. The amenities here are clear indicators that this is a family-oriented city, and with the lowest crime rate in the state, you’ll know your family is always safe. Roseville has a special place in our heart because our business is located here. But we love Roseville for lots of other reasons. It has best weather California has to offer. In fact, the weather is so great here we have a gigantic water park to ensure everyone can stay cool during the summer months. The median home price in Roseville is in the region of $370,000, with median rents coming in at around $1,800 per month. The overall quality of life here is very high, with most families enjoying an average income of $92,000 per household. Roseville has 28 public schools, 13 private schools and is located just 36 minutes from downtown Sacramento. 119,000 people reside in Roseville, but there’s more than enough space for newcomers – you’ll find a warm welcome awaiting you. There are two important things you need to know about Granite Bay. The first of these is that there are just 22,000 living here. The second is that the lower population density is due to the fact that this is one of the more exclusive places to relocate to in Sacramento. The median home price here is is $640,000, backed up by a median household income of $132,000. These home prices and income levels are obviously well above state and national averages, but the exclusive nature of Granite Bay means your entire family gets to enjoy an enviable quality of life. Education is catered by excellent schools, such as Oakhills Elementary school, Greenhills Elementary School and Del Oro High School. Granite Bay has fewer available amenities than other suburbs of Sacramento, but everything you need is just a short drive away. Relocating to Granite Bay puts you within a 45-minute commute to Sacramento, so you get the best possible combination of a peaceful life, but within reach of your state capital. This suburb is home to 57,000 people. Despite the close-to-average population density for a California suburb, crime is almost non-existent here. Families living in Rocklin typically average $96,000 in household income for owner occupiers, and slightly less than that for renter occupiers. You’ll need a budget of roughly $300,000 to purchase a home here, and rents are also slightly higher than the local average, coming in at $2,000 per month. To balance the slightly higher cost of living, there are huge number of amenities available to residents of Rocklin – you’re never more than a few minutes away from a grocery store, library, school, or restaurant. Rocklin also features some of the best schools in the state, with notable mentions going to Granite Oaks Middle School and Rocklin High School. There’s a 27-mile commute each way to downtown Sacramento, for those of you considering commuting.